World War One occasioned the highest number of fatalities in military history, culling an entire generation; sometimes within weeks of arrival at the front. The rain drop ploughs: Thomas Hardy, ‘During Wind and Rain’. Yet the voice of ‘the fallen’ echoed down one century and into the next and is neither still nor small. 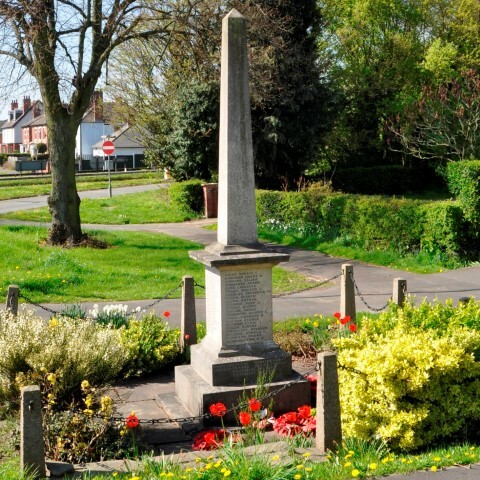 Wilfred Owen and Isaac Rosenberg were poets whose depiction of the trenches has outlived them. Siegfried Sassoon followed satirical poetry by an attempt to distil the 1914-1918 years in prose, publishing Memoirs of an Infantry Officer in 1930 to widespread acclaim. The sense in late ‘20s and early ‘30s Britain, that the war to end all wars was a misnomer, led to a desire, from former soldiers, to interpret their experience in war memoirs, novels and diaries. Robert Graves, Edmund Blunden and Richard Aldington were three of them and there were many more, including Erich Maria Remarque, Henri Barbusse —- and Francis Reginald Hasse from Ockbrook, in Derbyshire. 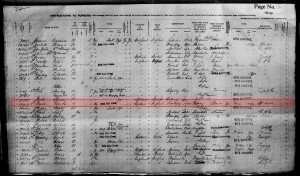 Ockbrook Moravian Francis Hasse emigrated to St John New Brunswick in Canada, sailing from Liverpool on 17th March 1911. He survived, unlike his brother Edwin who enlisted in the same regiment. 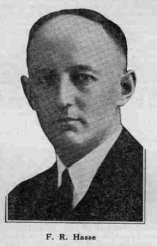 Twenty four years later in 1935, Francis Hasse; retired on a pension from the Canadian Military Police, prepared to return to London, known in Canada as The Old Country and the Big Smoke. 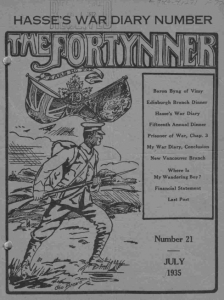 Eager to continue subscribing to The Forty-Niner, the magazine of the 49th Edmonton Regiment Association, he wrote to the editor to say so. He also offered something that might appeal; the opportunity to publish a portion of his World War One diary. What he sent was intriguing because by 1938, The Forty Niner had become the regular outlet for instalments of A Touched-Up War Diary, Hasse’s extracts from his World War One writings. By now, he had returned to Victoria. hoping that they would secure a readership amongst the men who were in the battalion in the earlier days in France. We do not know if the diary was read by anybody else. 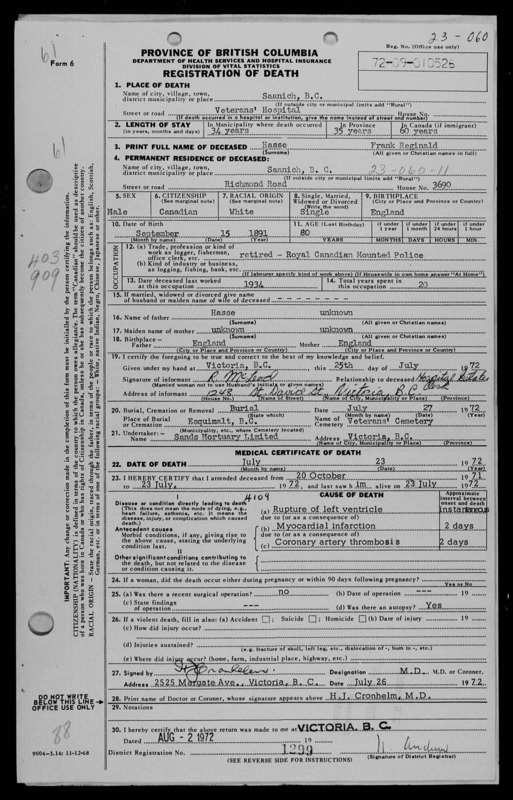 Hasse did not marry and we have no record of descendants. In 2014, what remains of him is his writing. Hasse’s war diary is an account of events as they unfolded after his Battalion moved to Ypres Salient in March 1916. Visit Talbot House and accept the written invitation to ‘Come inside the garden and forget about the war’. The garden at the rear of the building is a very pleasant spot and well-supplied with literature ( May 16th 1916). See one of our fellows eating biscuits and bully and sitting practically on top of a dead German, whose legs protrude from under a small mound of dirt. The eater of biscuits and bully is not needlessly callous; he is sitting on the mound because it happens to be the most convenient place he could find ( July 12th 1916). but practicality cannot extinguish the shared humanity enabling survivors of the trenches to make a life beyond them. I feel very grateful for the many, little unobtrusive acts of kindness that are being shown me.’ ( July 15th 1916). 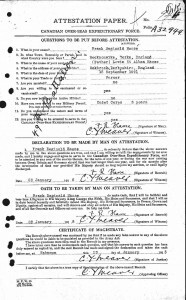 letters from members of the Battalion…. a comfort beyond words. .. A letter they valued particularly was signed ‘Frank Winser’, they take it to be the letter of a fellow comrade and ranker and will be surprised when I tell them the writer is Major Winser.’ (July 26th 1916). When he saw the look in the eyes of the suffering-but silent young German, his hate left him and he finished up by giving the wounded enemy some of his precious water. (June 4th 1916). One thing is sure. No man who spent the 3rd and 4th of June in the Salient can be quite the same again. He has been through experiences and felt emotions, which can never be erased from his memory. A keen psychologist would perhaps be able to detect something different about the eyes – something that was not there before. (June 5th 1916). Trench warfare meant living in close proximity with total strangers. The minutiae of day to day existence, shared frustrations, rivalries, perils and even fun bond the men. Irritation is directed at high command. Why, ponders Hasse, when camouflage is recognised as a most important feature of modern warfare, and we are very sensibly dressed in khaki, in order to be as invisible as possible to the enemy are we required to shine our buttons and badges, and by so doing, making it easy for Fritz’s observers, in aeroplanes and balloons to spot us on the march? It is the whim of some Brass Hat who wants to see his little boys looking nice on parade – some Brass Hat who will die in his bed at a ripe old age. (September 9th 1916). Starling has bad shrapnel wound in his left leg, just below the body… It is difficult to leave Starling alone and uncared for. If we leave him, it is a case of leaving him to die. ( June 3rd 1916). This splendid comradeship is one of the great compensations of Army life ( August 29th 1916), marvelling that it can be strange that men engaged in the grimmest and greatest war the world has ever known should act like a bunch of irresponsible and happy school-boys behind the lines ( September 10th 1916). Take afternoon train from St Pancras. Get to my home in Ockbrook, near Derby, a little after dark. Good to be back home once more. ( November 12th 1917). Hasse visits a dentist in Derby and finds him about to be conscripted and feeling very bitter about it all. He is a married man and has to leave his home and a good practice. (November 25th 1917). Members of the 49th can consider themselves lucky in belonging to an outfit in which red tape discipline does not exist. – and the morale of the Battalion is all the better for it. A thousand men from the Canadian West, belonging to the same strata of society and working together in good comradeship, do not need to be bound down by strict army rules and regulations, however necessary they may be for professional soldiers. 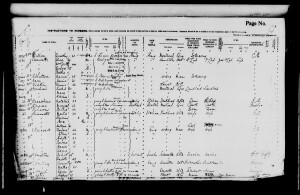 ( 27th November 1917). Cocooned in the moment with his comrades, Hasse relies on the press for information about the wider progress of the war, notably The Daily Mail, at that time, owned, as was The Times by Lord Northcliffe. The admitted fact is that Lord Kitchener ordered the wrong type of shell – the same kind of shell that he used against the Boers in 1900… The kind of shell our poor soldiers have had has caused the death of thousands of them. Incidentally, it has brought about a Cabinet crisis and the formation of what we hope is going to be a National Government. ( Daily Mail, May 21st 1915). Bill English, O.R. sergeant, tells me that the Adjutant wants to see me. Go to orderly room and the Adjutant hands me an article which I had addressed to The Daily Mail a couple of weeks ago. No exception is taken to the article by the censor, but he has attached a note to it, to the effect that … such articles must first be submitted, in triplicate, for censorship, by the War Office. Manage to get hold of a Daily Mail this morning – a couple of days old. ( April 4th 1918). 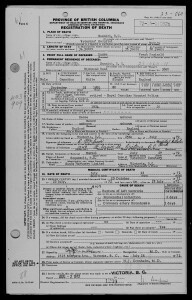 Francis Hasse, World War One survivor, died of a heart attack aged 80 on 27th July 1972 and is buried in the Veterans’ Cemetery in Esquimalt, Victoria, British Columbia. The last diary entry is dated 5th November 1918. It is just a day like any other in wartime, but the tone of the writer is an age apart from the eager recruit, soon to go into Ypres Salient. General Alderson addresses us and tells us what to expect. ( March 21st 1916). When Tony Peterson comes back from delivering rations in the afternoon, he tells us he saw an old Frenchman dragging a corpse out of his yard. It was the body of a German, slain by our advance guards a couple of days ago and as the old fellow lugged the heavy body behind him he muttered curse after curse. He was dragging him out by a potato fork, the curved tines of which were stuck into the throat of the dead German. Francis Hasse, 49er, from Ockbrook, Derbyshire, knows what to expect now.